Mysterious and misunderstood, distorted by biblical imagery of disfigurement and uncleanness, Hansen's disease (or leprosy) has all but disappeared from America's consciousness. In Carville, Louisiana, the closed doors of the nation's last center for the treatment of leprosy hold stories of sadness, separation, and even strength in the face of what was once a life-wrenching diagnosis. 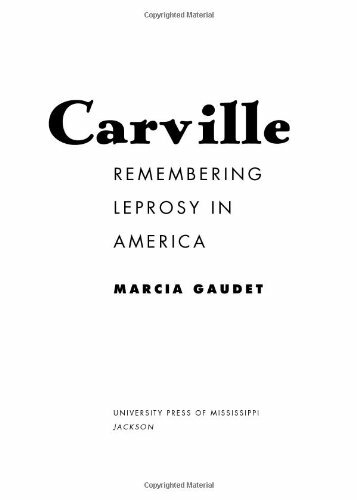 Drawn from interviews with living patients and extensive research in the leprosarium's archives, "Carville: Remembering Leprosy in America" tells the stories of former patients at the National Hansen's Disease Center. For over a century, from 1894 until 1999, Carville was the site of the only in-patient hospital in the continental United States for the treatment of Hansen's disease, which is the preferred designation for leprosy. Patients --- exiled there by law for treatment and for separation from the rest of society --- reveal how they were able to cope with the devastating blow the diagnosis of leprosy dealt them. Leprosy was so frightening and so poorly understood that entire families would suffer and be shunned if one family member contracted the disease. When patients entered Carville, they typically left everything behind, including their legal names and their hopes for the future. With a natural wonder for all things morbid and the inner lives of people that struggle, I was curious to know the details about leprosy as a disease and also about the personal details of the people that suffered with it.This book gave enough scientific facts about the disease to quench my curiousity, and also managed to give a personal perspective, delving into the details of the lives of, and even quoting, victims of the disease that lived when leprosy was still misunderstood greatly.I read the entire book, then ordered, "The Colony", a book about a leper colony that existed on an island in Hawaii.I found that book very dry, as it traced the character's lives very factually.It was so much like a history book that I couldn't even make it quite half way through. I have been aware of the Carville facility since I read Betty Martin's "Miracle at Carville" as a child, and was delighted to learn about 10 years ago that at that time, she was still living.The book was very respectful of her privacy, not revealing her real name even though she died in 2002. It was a superficial history of the facility and its newsletter, "The Star", which probably did more to promote knowledge about this interesting disease than anything else. Gaudet's book fails to tell us very much about the day to day lives of Carville's patients. Granted, she does relate stories about the Mardi Gras parade and about sneaking off the grounds (I was surprised by the largely positive reactions of the outside community). But time after time, I would read a passage and want to know more. After finishing the book, I hardly had any more knowledge about Hansen's Disease and the Carville experience than I had before I began reading it. While premodern poets and preachers viewed leprosy as a "disease of the soul," physicians in the period understood it to be a "cancer of the whole body." 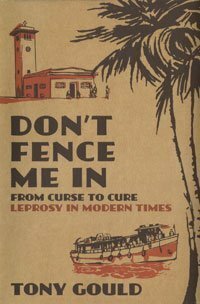 In this innovative study, medical historian Luke Demaitre explores medical and social perspectives on leprosy at a time when judicious diagnosis could spare healthy people from social ostracization and help the afflicted get a license to beg. Extending his inquiry from the first century to late in the eighteenth century, Demaitre draws on translations of academic treatises and archival records to illuminate the professional standing, knowledge, and conduct of the practitioners who struggled to move popular perceptions of leprosy beyond loathing and pity. 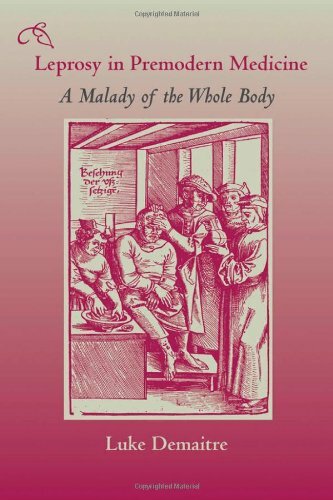 He finds that, while not immune to social and cultural perceptions of the leprous as degenerate, and while influenced by their own fears of contagion, premodern physicians moderated society's reactions to leprosy and were dedicated to the well-being of their patients. from pain this book can be invaluable. enjoyed the autobiography of this surgeon. Lying in a hospital bed, José P. Ramirez, Jr. (b. 1948) almost lost everything because of a misunderstood disease. When the health department doctor gave him the Handbook for Persons with Leprosy, Ramirez learned his fate. Such a diagnosis in 1968 meant exile and hospitalization in the only leprosarium in the continental United States--Carville, Louisiana, 750 miles from his home in Laredo, Texas. 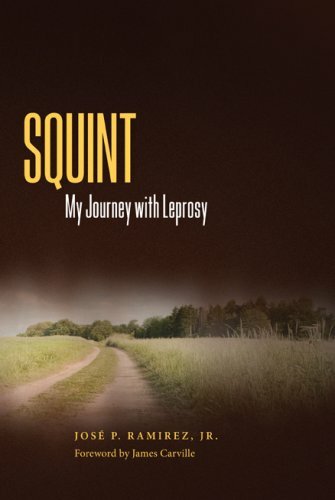 In Squint: My Journey with Leprosy, Ramirez recalls being taken from his family in a hearse and thrown into a world filled with fear. He and his loved ones struggled against the stigma associated with the term "leper" and against beliefs that the disease was a punishment from God, that his illness was highly communicable, and that persons with Hansen's disease had to be banished from their communities. His disease not only meant separation from the girlfriend who would later become his wife, but also a derailment of all life's goals. In his struggle Ramirez overcame barriers both real and imagined and eventually became an international advocate on behalf of persons with disabilities. In Squint, titled for the sliver of a window through which persons with leprosy in medieval times were allowed to view Mass but not participate, Ramirez tells a story of love and perseverance over incredible odds. 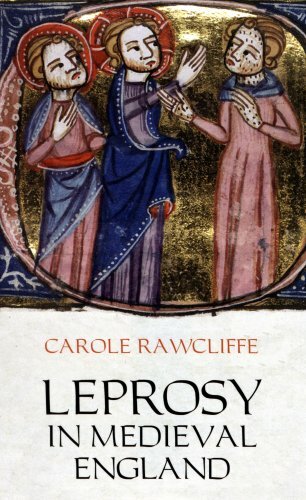 This is an awesome book.I had no idea that leprosy was not extremely contangious. It is obvious that Mr. Ramirez has spent a life of challenge - fighting prejudice, ignorance and the kind of physical pain few of us can even imagine.He is to be congratulated for his life's work and his overcoming the many challenges of this disease.Never-the-less he is not to be congratulated on a well-written book.Redundancies, miss-use of punctuation, and a distracting use of Mexican phrases where they have no impact lead me to not be sympathetic but rather to feel duped into reading this book.I hope that there is a second edition of this book with a ghost writer or at least an editor to catch such glaring mistakes as, "It must have been weeks before I saw Big John's face..." to , in less then a page, "[Big John] smiled and nodded. "I use the quotation marks with some nervousness as Mr. Ramirez has used a life's quota of them already.It is mostly a simple disappointment to not have had so important a life expressed in as well a written book as it deserves. Although the title refers only to the author's experience with Hansen's Disease, the book gives the reader more - a window into Mexican-American culture of a certain era, more specifically, a Mexican-American culture in Laredo, TX; an as-it-unfolds narrative of a minority culture - and the majority culture around it - as they transition re: gender roles and in diversity awareness, whether that diversity has to do with culture, race or disease; a truly romantic love story between him and his wife; and a story of complicated relationships between parents and children. While the book isn't an on-the-edge-of-your-seat page-turner, the author tells his stories well. I felt engaged throughout the book. Occasionally, I got lost in the chronology, but I found that the chronology wasn't all that relevant to the story, anyway, so this wasn't an irritant. Overall, the book gives the reader more than it promises in the title. When I read a review of this book in my local paper, my interest was piqued. In fact, I ordered several copies and selected this book for my book club. Although Mr. Ramirez is a very sympathetic character, and I commend his courage and strength in telling his story (and his tireless advocacy for persons with Hansen's disease), I was deeply disappointed in the book. His seemingly random use of quotation marks and his over-use of Spanish in the text (and, mind you,I speak Spanish) was a constant distraction.Mr. Ramirez' story has great potential, but the combination of poor writing and non-existent editing make for a disappointing read. This fascinating cultural and medical history of leprosy enriches our understanding of a still-feared biblical disease. It is a condition shrouded for centuries in mystery, legend, and religious fanaticism. Societies the world over have vilified its sufferers: by the sheer accident of mycobacterial infection, they have been condemned to exile and imprisonment—illness itself considered evidence of moral taint. Over the last 200 years, the story of leprosy has witnessed dramatic reversals in terms of both scientific theory and public opinion. In A DISEASE APART, Tony Gould traces the history of this compelling period through the lives of individual men and women: intrepid doctors, researchers, and missionaries, and a vast spectrum of patients. We meet such pioneers of treatment as the Norwegian microbe hunter, Armauer Hansen. Though Hansen discovered the leprosy bacillus in l873, the 'heredity vs. contagion' debate raged on for decades. Meanwhile, across the world, Belgian Catholic missionary Father Damien became an international celebrity tending to his stricken flock at the Hawaiian settlement of Molokai. He contracted the disease himself. 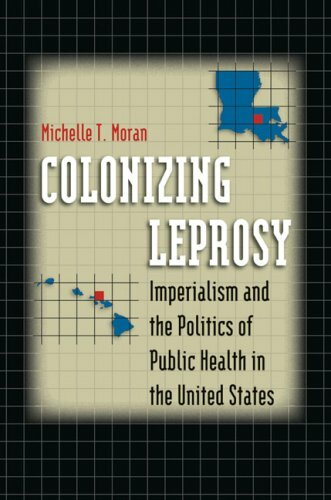 To the British, leprosy posed an "imperial danger" to their sprawling colonial system. In the l920s Sir Leonard Rogers of the Indian Medical Service found that the ancient Hindu treatment of chaulmoogra oil could be used in an injectable form. The Cajun bayou saw the inspiring rise of leprosy’s most zealous campaigner of all: a patient. At Carville, Louisiana, a Jewish Texan pharmacist named Stanley Stein was transformed by leprosy into an eloquent editor and writer. He ultimately became a thorn in the side of the U.S. Public Heath Department and a close friend of Tallulah Bankhead. The personalities met on this journey are remarkable and their stories unfold against the backgrounds of Norway, Hawaii, the Philippines, Japan, South Africa, Canada, Nigeria, Nepal and Louisiana. Although since the l950s drugs treatments have been able to cure cases caught early—and arrest advanced cases—leprosy remains a subject mired in ignorance. In this superb and enlightened book, Tony Gould throws light into the shadows. 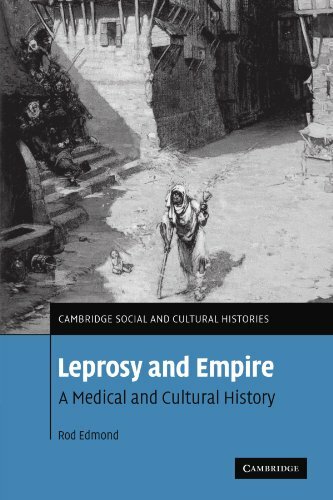 This is a thoroughly researched book, to the point of excruciatingly boring detail, that discusses the social and political implications of leprosy throughout history. 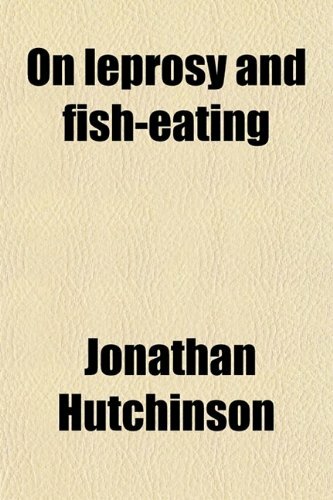 There is very little discussion of the medical side of the disease, of which the author doesn't seem to have much grasp - A glaring omission considering that we hear far more than we need to about the personal lives of leading leprosy researchers, celebrity sufferers, and government administrators. There were some bizarre throwaway lines such as "Biblical leprosy was probably a different disease than true leprosy". Huh? I can accept that provided there was some explanation / validation. (which wasn't done). There is no discussion at all about leprosy medical research except for some faint condemnation about the cushy dwellings of researchers in leper colonies compared to the dreadful living conditions of the patients. This is not a book to be taken lightly - it's far too complex, and meandering, for a quick run-through. Read it if you like politics more than medicine. Otherwise, expect to be put to sleep (as I was, repeatedly). 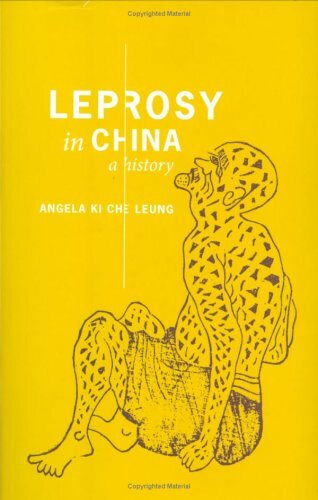 There have been many books written about Leprosy a.k.a. Hansen's Disease over the years.Mr. Gould appears to have read many of the books about all the interesting people afflicted with the disease and the caretakers of people with Hansen's Disease over the past couple hundred years. 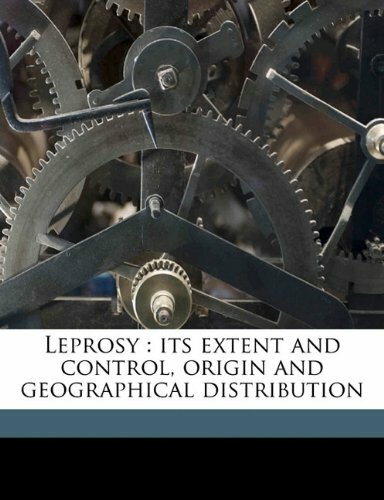 A Disease Apart: Leprosy in the Modern World seems to be a condensed version of those many books broken down by chapter. This book is a great read for history buffs and anyone who thinks they might be interested in reading about Leprosy for the first time. Possibly the best book on the disease history. 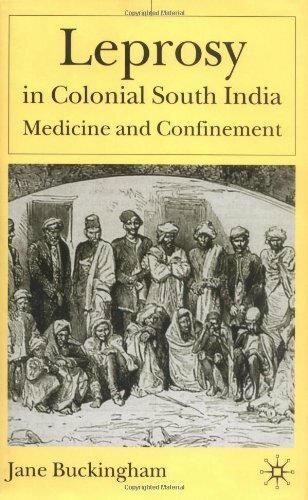 This book is far and away the best look at the history of the disease, colonies, and treatment, out there. On top of being extremely informative, it is not a dry read in the least bit. I finished it in a day. I particularly enjoyed the time taken to deal with Carville, it's founding and patients, particularly the amazing Stanley Stein. If a person has any interest in the disease at all, this book needs to be on their shelf. Hear the world 'leprosy' and you tend to think of bygone eras and diseases no longer threatening modern societies - but A DISEASE APART: LEPROSY IN THE MODERN WORLD shows otherwise, tracing the history of leprosy and surveying the legends, realities, and medical concerns surrounding the disease. 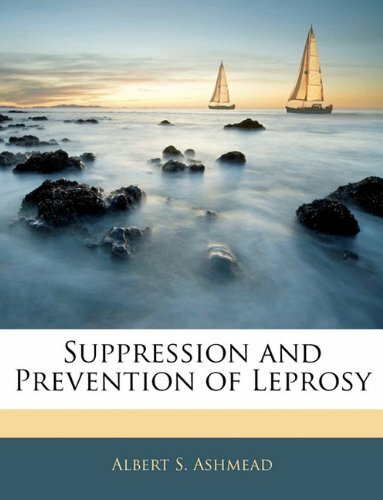 From pioneers of early treatments and diagnosis to local epidemics of leprosy, chapters survey the controversies, research, and health risks which have surrounded leprosy. Treatments for cases caught early have been in effect since the 1950s - but there's still lots of misunderstanding and myth surrounding leprosy - and thus the need for this detailed medical history. Everyone knows what you mean if you refer to someone as a leper: someone others shun.There are worse diseases, more painful ones, more numerous ones, and many more contagious ones, but leprosy was a horror of its own.This was largely because leprosy was visible; blotchy skin, bloated face, extremities dissolving away.Lepers had more problems in that they lost their sight, but more particularly they lost their sense of touch, and with it the capacity to feel pain, the blessing in disguise that protects us from the world's blows.It is a terrible disease, but the horror it inspired in others made it unique.In _A Disease Apart: Leprosy in the Modern World_ (St. Martin's Press), Tony Gould shows that in the past couple of hundred years, the disease has lost its capacity to shock.It still exists, but there are good treatments and we know that sufferers need not be objects of fear or horror, and that they are certainly not victims of some sort of curse from gods of any type.Gould has not pointedly drawn comparisons to AIDS in our own time, but the similar arc of social reaction to the disease is clear. Much of what people know about leprosy comes from the Bible, and it certainly inspired the missionaries in their efforts against the disease, but probably those missionaries were fighting a different one than that known in Old Testament times and locales.The involvement of Christianity by means of missionaries to sufferers is a theme throughout this book.One victim himself wrote, "There is no mission to the tubercular, no mission to the diabetics, no mission to syphilitics.... there seems to be some special reward for working with 'lepers'. "Such missions are not now fashionable, and we know missionaries are not an unalloyed force for good.Gould has focused in on one region after another to tell histories that all include the cruel management of sufferers and the eventual freeing of them to more enlightened ways.Perhaps the most famous is Father Damien, the Belgian priest who ministered to lepers in Hawaii from 1873 to his death from leprosy in 1889.An American Protestant missionary met him there, and wrote a private posthumous letter critical of Father Damien ("He was not a pure man in his relations with women, and the leprosy of which he died should be attributed to his vices and carelessness.") which the recipient published.Damien's cause was taken up by another previous visitor to Molokai, none other than Robert Louis Stevenson.The controversy only swelled interest in the colony and made Damien a martyr and a figurehead for fundraising. 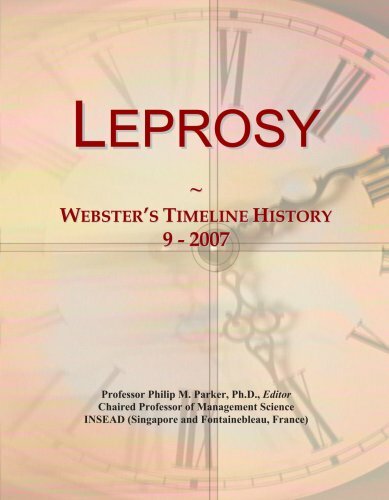 Eric Silla's social history of leprosy (a.k.a. Hansen's disease) in Mali draws the reader into a penetrating exploration not just of a disease but of the regimes of stigma, treatment, and solidarity that have been constructed around it.The author makes use of his own interviews with dozens of subjects--those afflicted with Hansen's disease, as well as healers from both African and European medical traditions--to sketch a detailed picture of the effects this illness has had on a society at large. These firsthand accounts are frank and often gripping, helping the reader to understand (insofar as it is possible) the depth of suffering caused not so much by the disease itself as by the manifold, and almost entirely unnecessary, social stigma that accompany it.By reinforcing his interviews with documentary evidence from French colonial clinics, leprosariums, and other sources, the author puts his subjects' stories in wider perspective.He even taps into centuries-old Arabic manuscripts for insight into the status and conditions of lepers in pre-colonial Mali. This is not a book about leprosy. It is a book about people. 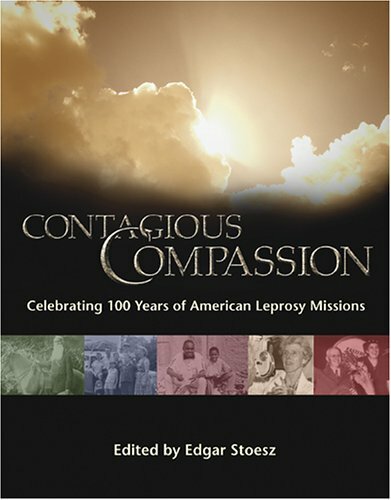 Contagious Compassion is a beautifully written account of the people and events that changed attitudes and leprosy treatments around the world. More than an archival record, this fascinating 256-page book showcases the people who have been touched by leprosy (also known as Hansen’s disease) and marks milestones in treatment, attitudes, and care for persons with leprosy around the world. 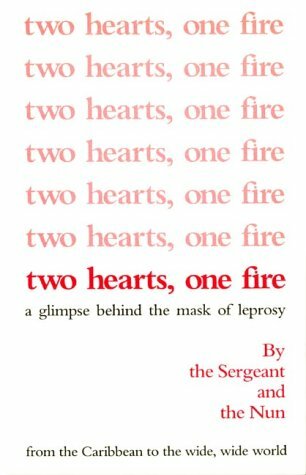 “Two Hearts, One Fire” is an eminently readable collection of human interest accounts, often amusing, and sometimes poignant, of life in Jamaica, British West Indies, from the hitherto unpublished collections of an Army Medic, and the heart-to-heart experiences of a missionary Sister with her leprosy patients, as gleaned from the letters of the Nun to her community back home in the United States. Neither the Sergeant nor the Nun had any idea that their brief encounters at the old Leper’s Home had any particular significance for the future, or even that their paths would cross again. The war over, the Sergeant, looking for help in the fulfillment of a promise he had made to himself to provide personally-inscribed gifts at Christmas for the leprosy patients he could not forget, rallied his family and friends to the cause. Seeking advice, he decided to visit the Massachusetts headquarters of the Marist Missionary Sisters who staffed the leprosarium in Jamaica. There he again encountered the Nun who was back home for medical attention. She was allowed to help him in his project -- a joining of efforts which today flourishes as the Damien-Dutton Society for Leprosy Aid.